Throaty sounds and roars that can be heard for miles is just what you need for your truck and if you are missing those sounds, our 2005-2015 Tacoma exhaust accessories can help. When you want to improve air flow, sounds, and performance in your truck, the first place you want to look is the exhaust. At ExtremeTerrain, we have a huge selection of different exhaust accessories for your Tacoma and you will be able to easily install and reap the benefits from them. If power and aggression are your two main wants, an exhaust tip can help bring them to the forefront. Not only will you find that the exhaust tip offers a beautiful and intimidating look to your truck, it helps provide those sounds that you are after as well. The exhaust tips we have in stock are made from stainless steel to ensure a long and durable hold. The tip can be finished in chrome or even powder coated in black for that aggressive flare. In addition to our exhaust tips, we also offer exhaust cutout kits that can help you boost efficiency and skip the muffler entirely. Each one of these kits is easy to use and comes with a wire harness so that you have everything needed to install and then take out on the road. The kit does allow you to vent your exhaust out before the exhaust actually hits the muffler which results in better performance and a deep growl that will scare your onlookers while challenging anyone who is daring to take you on. We carry a large selection of exhaust accessories for you to choose from including adjustable turn downs, polished tips, electronic cutout kits, clamps, coating kits, and much more. 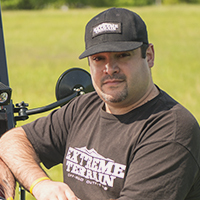 Shop the selection at ExtremeTerrain today and we will ship your products right to your door.